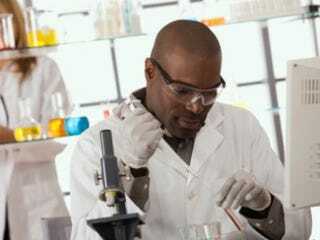 Why Can't Black Scientists Get Funds? Decline in black players should concern all baseball fans: The Washington Times' Deron Snyder says that Major League Baseball once fought to keep black players out, and now it should fight to reel them back in. Baltimore lawyer doubles as undefeated pro boxer: Venroy July says the same hard work that earned him a spot on the college wrestling team, admission to Duke Law School and a job at one of Baltimore's top corporate law firms is fueling his unusual professional boxing career. His trainer, who worked with Sugar Ray Leonard, predicts that the lawyer by day and boxer by night will be a world champion. Black scientists less likely to receive funds: Black scientists applying for grants from the nation's premier underwriter of biomedical research are dramatically less likely to receive funds than their white counterparts, according to a new study revealing stark racial disparities at the highest levels of science. CBC fair draws thousands in Atlanta: The two-day job fair is a part of the Congressional Black Caucus' "For the People" Jobs Initiative, a project that features a series of nationwide town hall meetings and job fairs in an attempt to respond to the dismal state of black employment with proactive action. In the last two years, the CBC has introduced more than 40 job-creation bills to address unemployment in the House of Representatives. In other news: Jalen Rose Released From Jail.